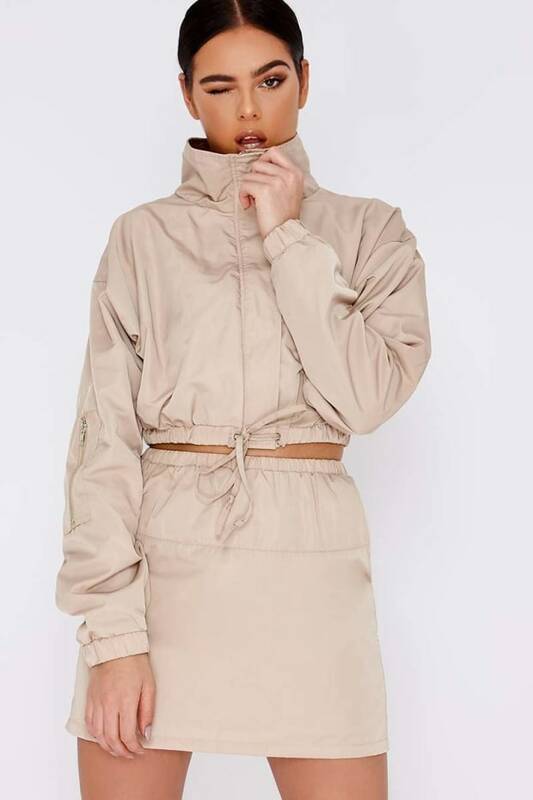 Babe we are totally obsessed with this Pia Mia jacket! 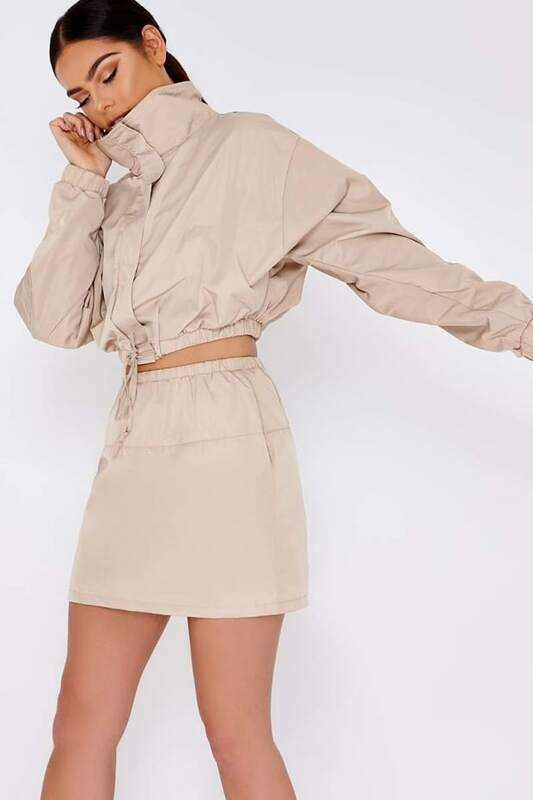 In a chic stone hue featuring zip and popper fastening, drawstring tie and cropped design, this unreal piece is a summer must-have! Style with matching skirt and heels for the ultimate look!